A plow, in US English, or plough, in UK English, is a large tool used in farming for cutting, lifting, turning over, and breaking up soil, or any other tool that resembles this, such as those used to remove snow from roads. As a verb, to plow (or plough) means ‘to turn up soil with such an instrument’ or ‘to clear an area by using a plow.’ Figuratively, to plow through something means ‘to move along or proceed slowly and with great effort.’ In business, if you plow something into something that means you invest in it, but in other contexts, if you plow into something or someone, it means you crash into it (or them), and when talking about food, it means you eat it in a hurry. 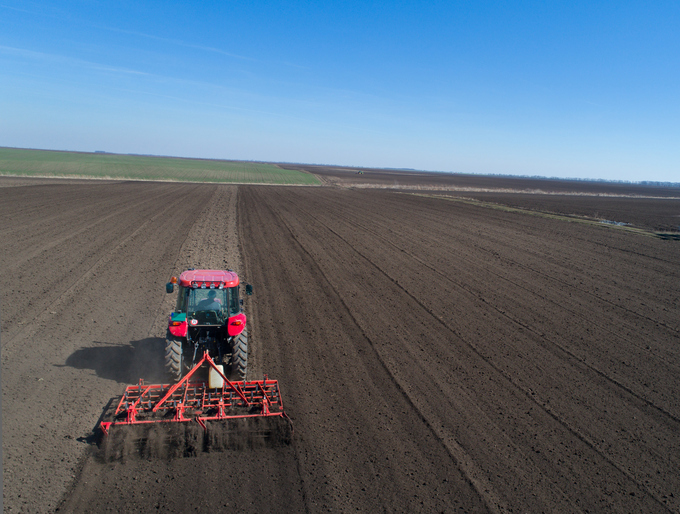 The farmer is preparing the soil with the plow. There is snow forecast tonight, so the plows will be out early tomorrow morning. The fields are being plowed. The trucks plowed the roads. Samantha still has a lot of work to plow through before she can finish work for the day. Miles has plowed $100,000 into this business. Sadie lost control of her bicycle and plowed into the neighbor's rosebushes. The children plowed into their ice-cream sundaes the moment they were served. plow under: to bury something under the soil by plowing. Example: Mark plowed the cornstalks under to prepare the field for next year’s planting season. Plow under can also be used figuratively as ‘to cause to disappear, overwhelm or force out of existence.’ Example: Internet sales are plowing under many small, independent bookstores all over the world. The Plough is the usual UK name for the constellation of Ursa Major. It is sometimes called the Plow in the US, but it is more commonly known there as the Big Dipper. Plow (or plough) dates back to before the year 1100. The late Old English noun plōg or plōh, which could mean ‘plow,’ but also ‘plowland,’ (a measure of land, equal to what a yoke of oxen could plow in a day), probably came into English from a Scandinavian source as a name for the tool (before then, the Old English word for plow was sulh), and can be traced back to the Proto-Germanic root plogo-, though its origin before that is unknown. Plow is related to the Old Norse plogr, and the Swedish and Danish plog (all meaning plow), as well as the Old Saxon plog, the Old Frisian ploch, the Middle Low German ploch, the Middle Dutch ploech, the Dutch ploeg, the Old High German pfluog and the German Pflug (plow). The Latin plovus (plow) is also related, and of German origin, as the Lithuanian plūgas and other Romance-language equivalents. Plow has been used as a name for the constellation of Ursa Major since the early 15th century. The verb comes from the noun, and dates back to the early 14th century. The figurative senses date back to the late 16th century.